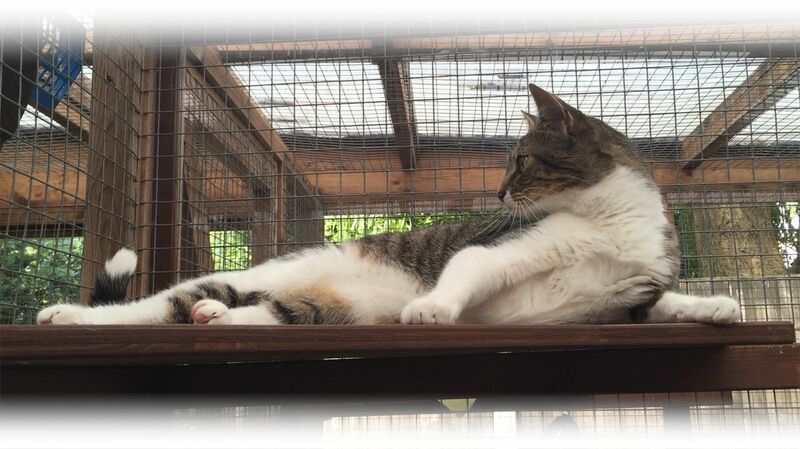 I’m Chantal and I run my small west London cattery, here in my garden, because I love spending my days with cats. I’m endlessly fascinated by how different they all are: each one has their own personality, their own quirks, likes and dislikes. I love the challenge of converting a nervous feline into one who wants to sit on my lap when I go into their cabin. Tell you, the owner, how your cat has been during his/her stay: not just “fine”. Discourage owners from bringing the whole family into the cattery when they bring and collect their cats – because children running around can unsettle the other cats. Families are welcome to wait quietly at a slight distance from the accommodation. 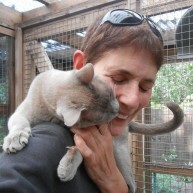 I set up The Cat’s Whiskers in February 2006 and it immediately became a FAB listed cattery. Several people whose cats I boarded in my first year are still bringing their cats to me whenever they go away.